Thank you for your interest in the Scientific Education & Research Foundation. We look forward to talking to you. For general inquires, please complete the form below and a member of our staff will contact you. We can also be reached at 303-287-2800 ext 323 but email contact is preferred. 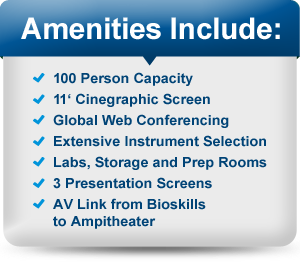 Want to learn more about our education facility and events center? Please complete the information below to have a representative contact you.